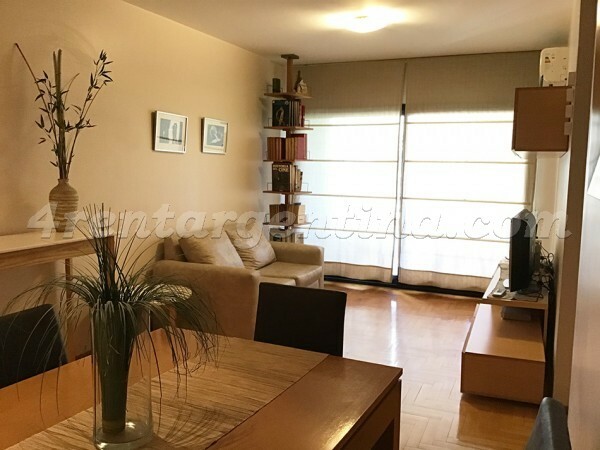 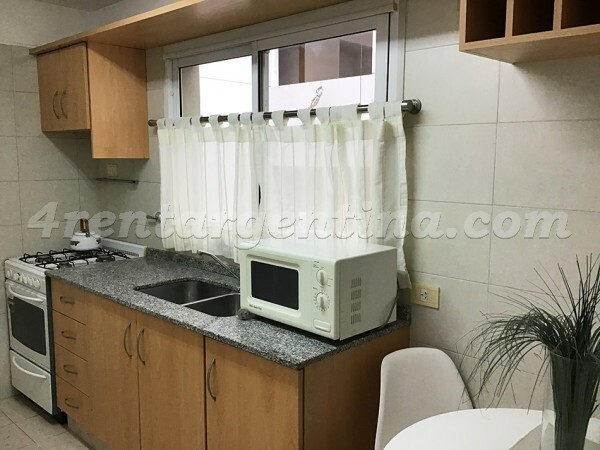 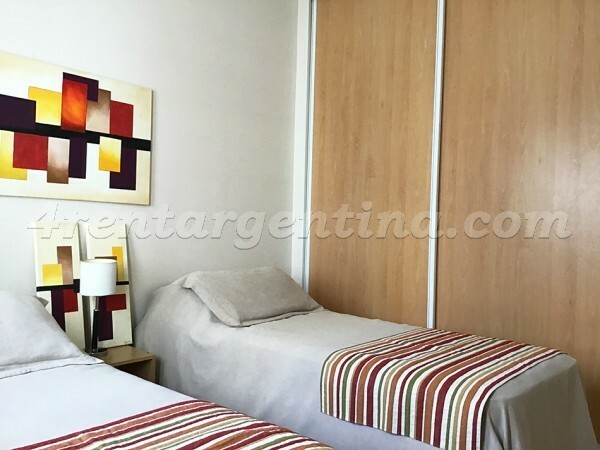 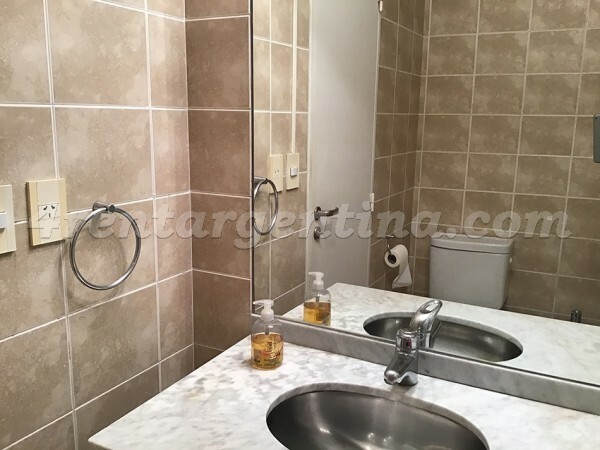 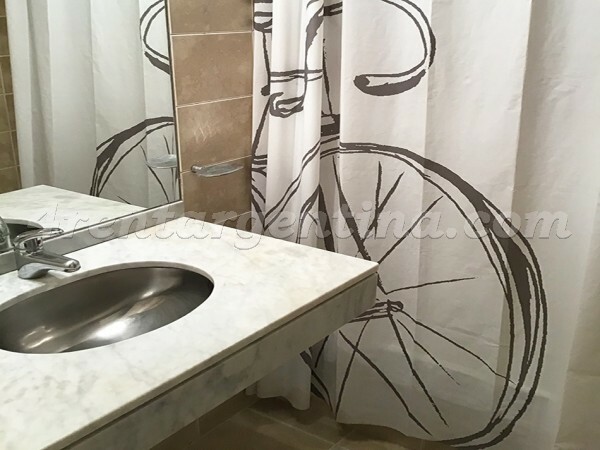 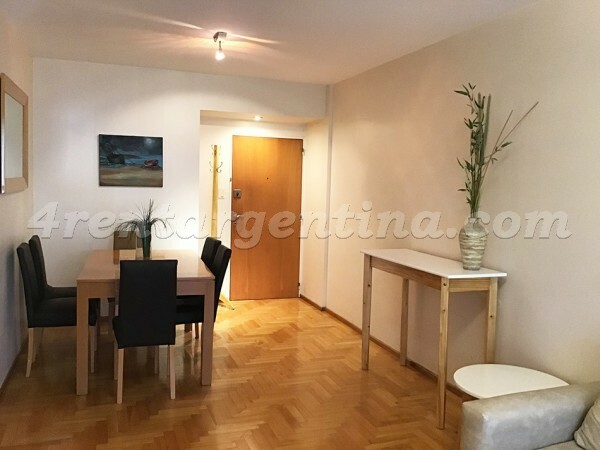 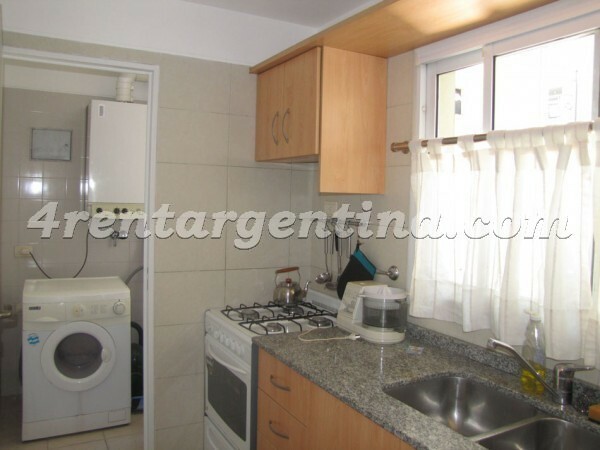 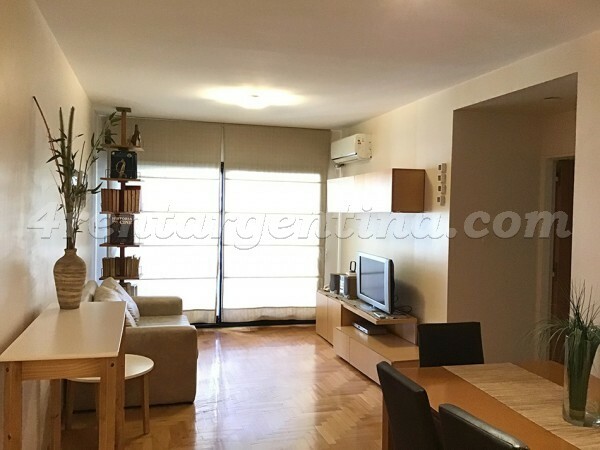 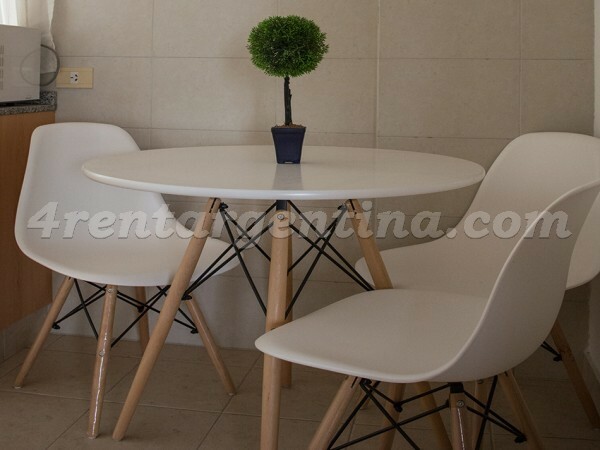 Beautiful furnished apartment for temporary rent, located in Las Cañitas, only two blocks away from Campo Argentino de Polo, in an area surrounded by bars, restaurants and shops. 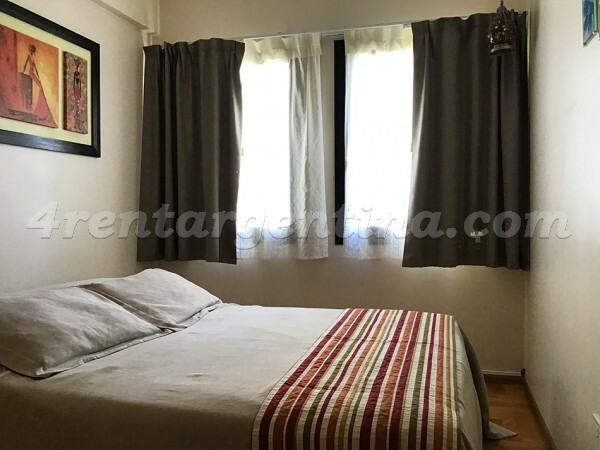 This luminous flat is very cozy, and features a living-room connected to a beautiful balcony, two bedrooms one with two single beds that can be put together to form a double bed and LED TV and another one with a queen bed a toilet in the hall, a fully-equipped kitchen and a full bathroom with tub and bidet. 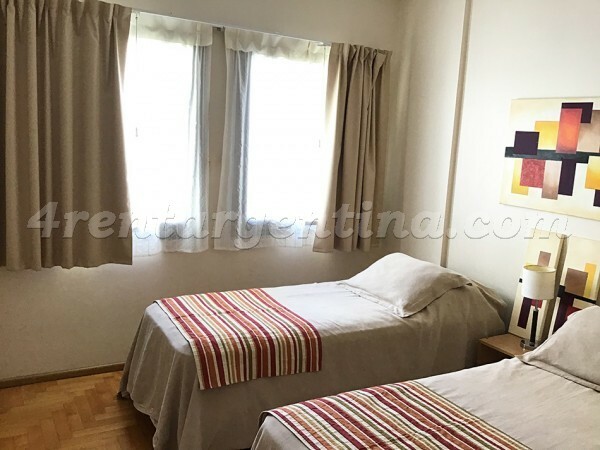 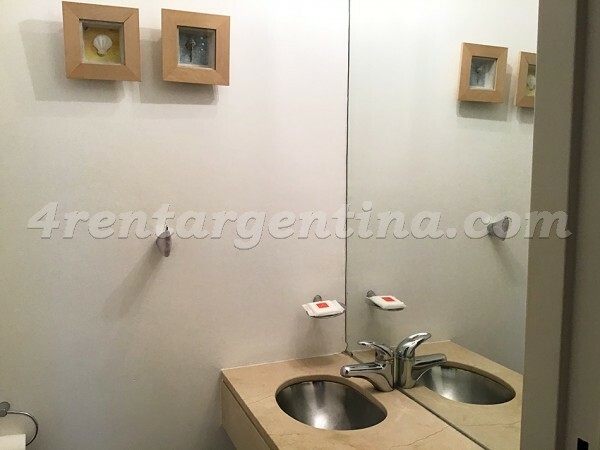 Besides, it has everything you may need for a comfortable stay in Buenos Aires: Air conditioning hot-cold and TV LCD in the living room, telephone, DVD player, stereo, and washing machine. 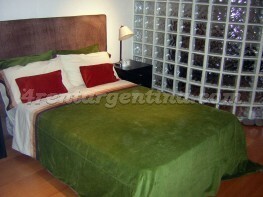 Weekly maid service included. 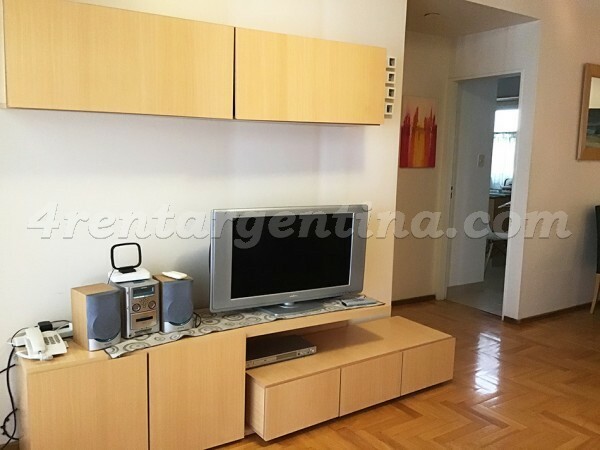 This is a lovely, clean, spacious apartment. 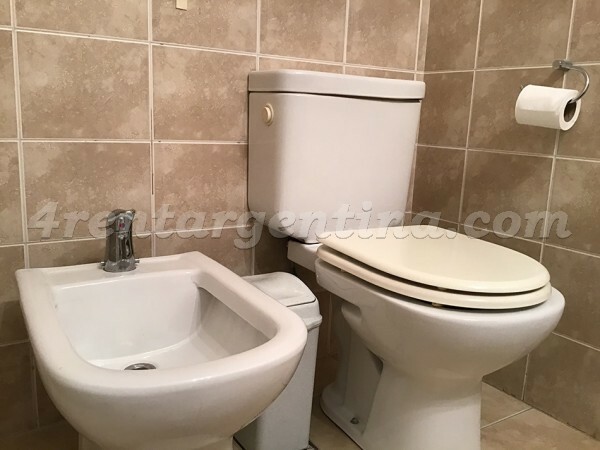 The owner is pleasant and helpful. 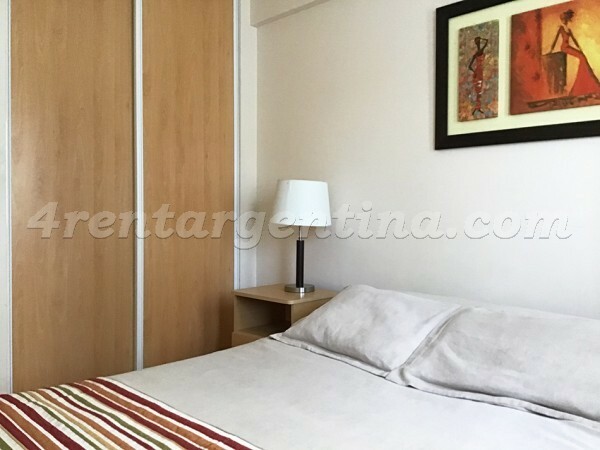 The doorman (portero) is also very helpful if you speak Spanish. 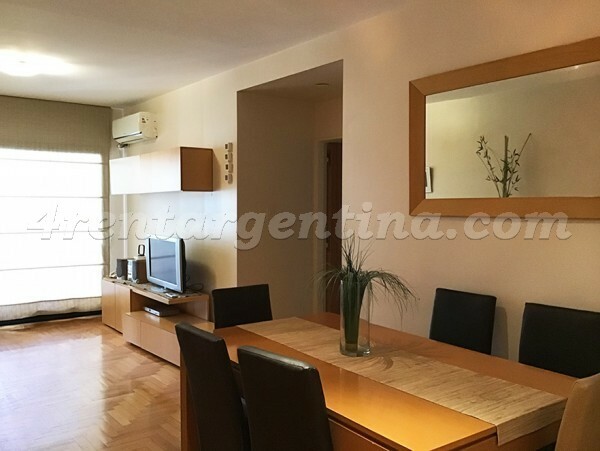 Las Cañitas is a quiet, relatively exhaust free neighborhood just to the north of Palermo. 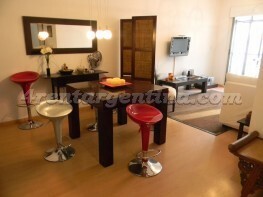 I recommend this apartment highly.